Hosts Bridget Lancaster and Julia Collin Davison. Courtesy of America's Test Kitchen LLC. Hosts Bridget Lancaster and Julia Collin Davison and the rest of the ATK cast gathered together to share the warmth of the holidays with viewers. The hour-long special features the entire cast is home for the holidays, and they're sharing their tips and tricks for planning a stress-free gathering, while also recounting personal holiday memories and revealing their all-time favorite holiday recipes from the Test Kitchen archives. America's Test Kitchen Special: Home for the Holidays premieres Tuesday, December 18, 2018 at 10 p.m. on WXXI-TV. 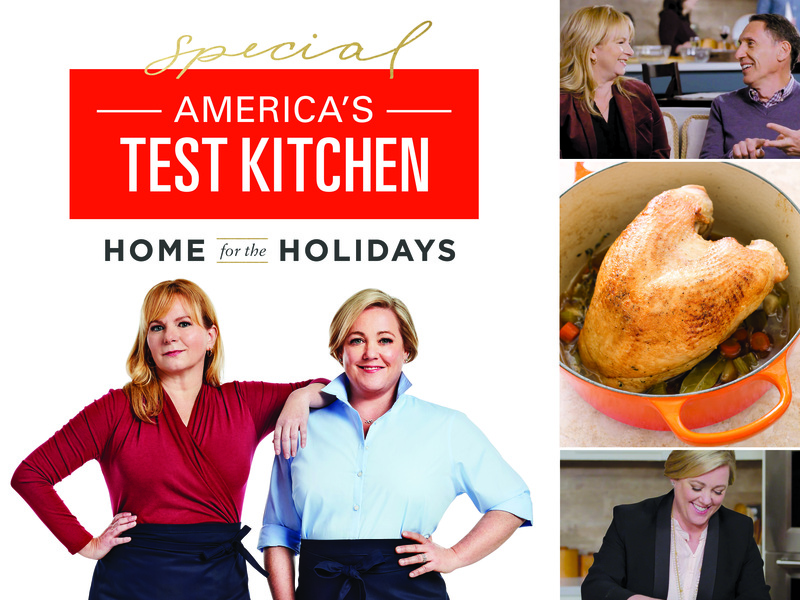 America's Test Kitchen Special: Home for the Holidays also spotlights five of the Test Kitchen's favorite holiday recipes, including new twists on classic holiday fare such as turkey en cocotte and beef tenderloin with smoky potatoes and persillade relish. Their porchetta recipe offers a flavor-packed alternative to traditional holiday roasts, and elegant holiday desserts such as millionaire's shortbread and gâteau breton are sure-fire favorites to consider anytime you're trying to please a crowd. 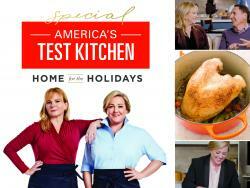 America's Test Kitchen Special: Home for the Holidays encores Saturday, December 22 at 2 p.m. on WXXI-TV.